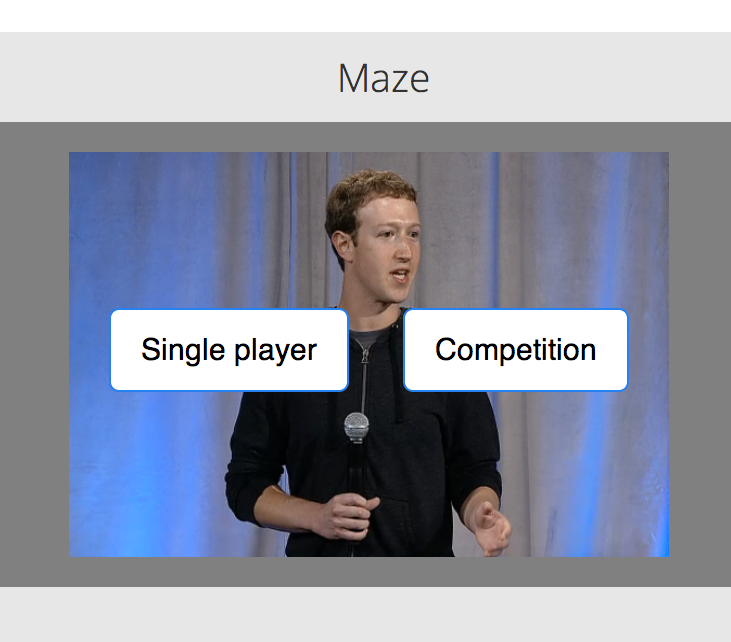 While visiting, and judging, the Photo Hack Day at Facebook headquarters yesterday, one of the more than 60 hacks presented in a two-minute format was iMaze. The team that put it together in just a little over a day was comprised of developers, some of whom were high-school students, and it ended up being one of the most polished apps coming out of the hackathon. With Aviary and Facebook putting on the event, some really cool things came out of it, but iMaze is one that just flat-out stuck with me. 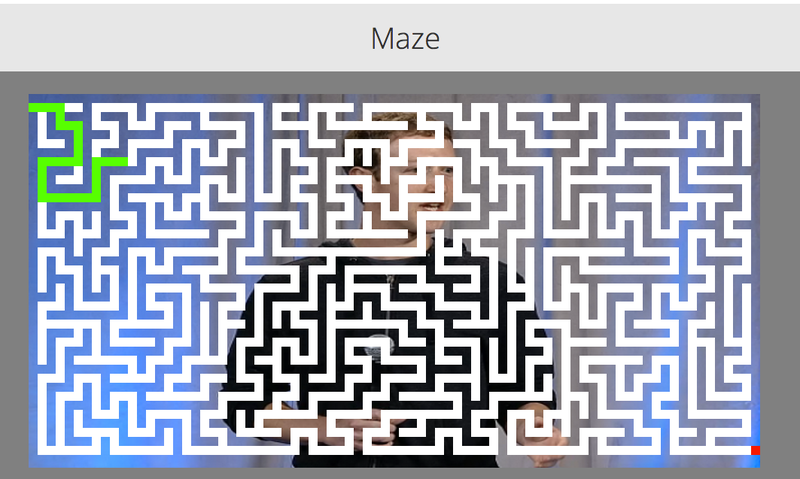 It’s simple: It turns your favorite photos into a maze. Once the maze is created, you can either make your way through it yourself or challenge your friend over the web in a real-time speed-test. Since you probably have a ton of photos on your computer or tossed about all over the web, iMaze uses Filepicker.io to let you pull in photos from Dropbox, Facebook, Flickr, Google Drive, Google Photos, Instagram or of course your machine. Once you upload the photo, you can use Aviary to edit it down before it’s turned into an interactive maze game that changes each time you upload a photo. Pick single player or invite a friend, and then compete with them in real-time. 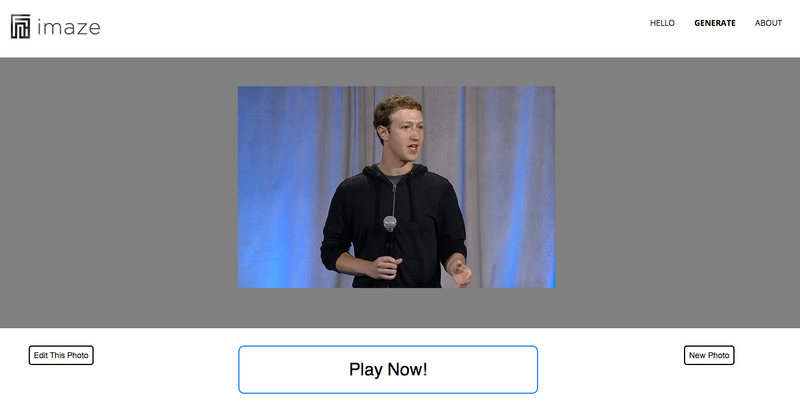 Considering that this was a hack put together in a day, it’s pretty fun and well-designed. The iMaze team won third place overall, but I hope that they keep working on it, because it would be a fun Facebook game and app. Once in a while, I enjoy playing hangman or Tic Tac Toe, not because I’m a gamer, but because I like doing something while I chat with my friends. Considering that these mazes are built on top of your photos, it’s a nice way to reuse images from the past and start a fun discussion with your closest pals.